Dymo #1 is JK Graphic Product most popular compatible Dymo address label. This label provides a great option for anyone looking for a high quality, affordable label. These bright white, self-adhesive labels are 100% compatible with any of the Dymo Label/Writer series printers. 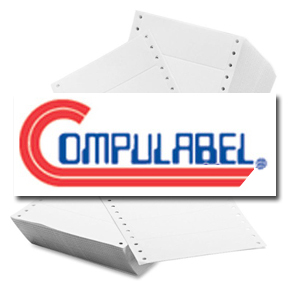 • 3 1/2" x 1 1/8"
CompuLabel is your source for inkjet labels, laser labels, pinfeed labels, desktop labels, thermal labels and more.